Another great week of summer events, and this week we have an extra day to take it all in. Yes! And if you missed the Mini Maker Faire, the do-it-yourself event where talented "makers" showed off their creations, check out a review and video of the day here. Now get out there and celebrate our awesome country! The jazz fest at David Lam is always one of Honey Bee’s favourite summer event. Grab a blanket, picnic basket and your sunglasses to enjoy some amazing performances by established and up-and-coming artists. 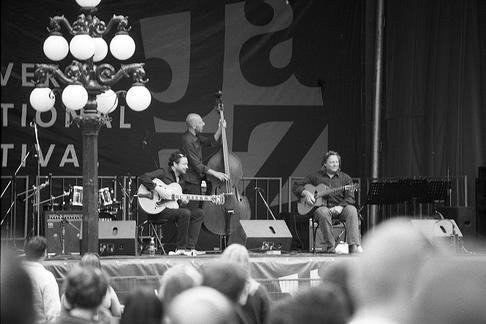 As an added bonus, head over to Granville Island for more jazz and Canada Day celebrations. Check out the 6th annual outdoor Mela (means Festival in Hindi, Punjabi) at Granville Island! This is a day of world rhythm music, food, and culture with local singers, musicians, dancers, and other artists taking centre stage. This festival brings together many distinct cultural heritages including Middle Eastern, South American, African, Caribbean, Asia Pacific, Mediterranean, and South Asian. July 1 | 12 - 4 PM | Olympic Village | Free! Looking for something meaningful to experience on Canada Day? We Canada is hosting a fun filled day with live music, live art and dancing! Workshops and speakers from the We Canada partners, Village Vancouver, One Earth, Fair Trade Vancouver and more! Learn about the road to a sustainable body, food growing, Earth Summit 2012, why fair trade matters and how to effect social change! After the entertainment portion, everyone is invited to join in a We Canada mob by spelling out across the plaza: WE CANADA | OUI CANADA. The mob is simultaneously going to happen in multiple cities across the country. Vancouvers' Legendary Long Weekends return for our 8th year strong as we bring you the only 3 room long weekend party in the city with Van City's best local talent including DJs KROWN, LIGHTA! SOUND, RICCO and more. Guaranteed debauchery at its finest! This just sounds so cool! The Association of Very Good Ideas and the Big Yellow House invite you to the second Incredible Pie Championship. Yes, this is your chance to attend and participate in a fierce competition where only one will be crowned the Pie Champion.